With the distortion turned up and the tempo turned down, Ottawa’s Expanda Fuzz have found the perfect elixir. Their debut album showcases the bands aesthetic wonderfully as they play with the idea of taking perfect pop melodies, adding fuzzy noise and slowing down the tempo. It’s a unique sound that lends itself perfectly to the duo which is comprised of Canadian indie punk/pop veteran Chris Page (The Stand GT, Camp Radio) and his good friend Leila who is a graphic artist with a love of darker, heavier sounds (and who also designs all the Expanda Fuzz artwork). Leila was the major catalyst for slowing things down by bringing in her influences to juxtapose the pop sounds that come so naturally to Page. 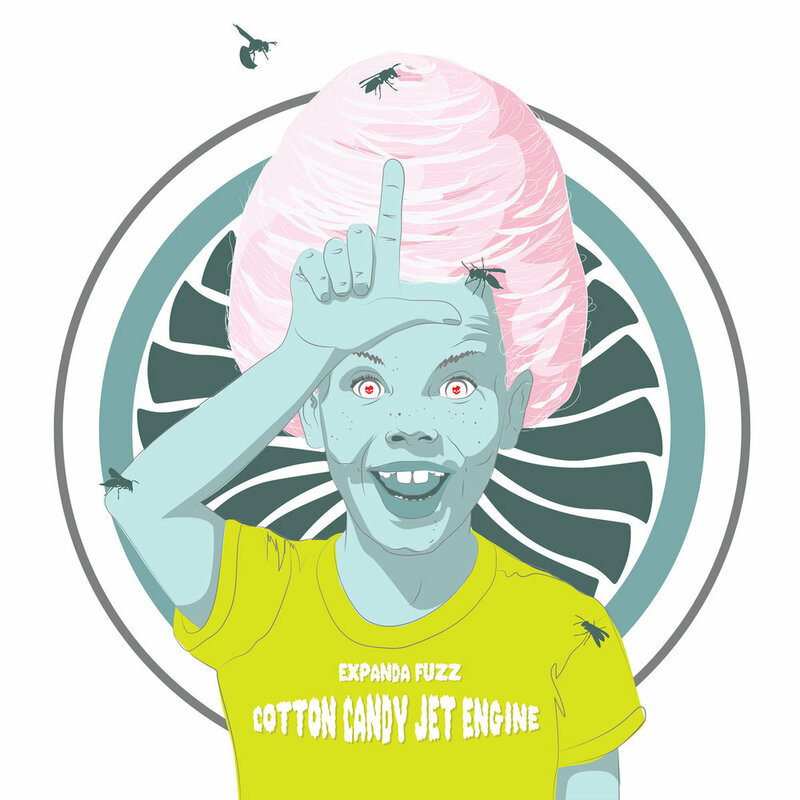 Cotton Candy Jet Engine (a term coined by Calgary producer Lorrie Matheson and Napalmpom guitarist Craig Evans describing their sound) is an incredibly focused album perfect for the fall. The melodies are extremely catchy and offer immediate familiarity, while the gothic sludgy sounds make the album unique enough to keep the listener’s brain engaged. Expand Fuzz are an enigma, they take two styles that should have no business being married and create a relationship that makes their peers green with envy. Their debut, Cotton Candy Jet Engine, is one of the most enticing Canadian albums of the year.